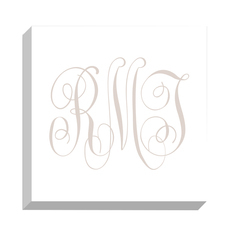 For those who want just two initials, this is the classic monogram style on note card you will love to use. Size of stock is 5" by 4" in your choice of color. Set of 25 folded note cards with matching envelopes. Embossed return address available.